Health Spending Increases Remain At Record Lows : Shots - Health News Economists have calculated that spending on health care continued to increase slowly in 2011, at a rate similar to the two previous years. 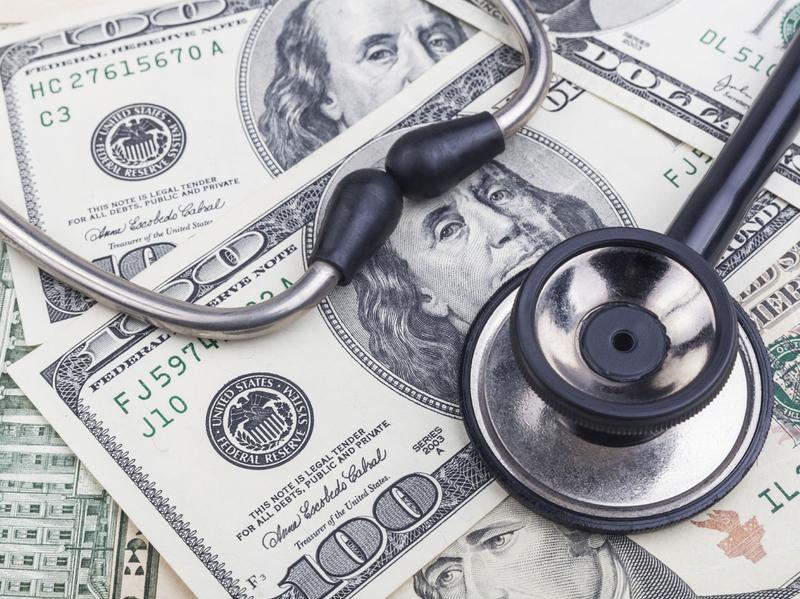 Researchers point to the stagnant economy for holding back health inflation. For the third straight year, spending on health care in 2011 grew at a historically slow rate, government researchers report. According to a study published in the January issue of the policy journal Health Affairs, U.S. health spending rose 3.9 percent in 2011. That's statistically almost identical to the rate of increase in each of the two previous years. Economists from the Centers for Medicare and Medicaid Services Office of the Actuary calculated that total spending in 2011 reached $2.7 trillion, or $8,680 per person. That consumed 17.9 percent of the nation's gross domestic product, the same as in 2009 and 2010. As in previous years, the researchers attributed the slow growth in health care inflation to the hurting economy. Between 2007 and 2010, the study noted, "private health insurance enrollment declined by 11.2 million, while Medicaid enrollment increased by 7.5 million and the number of uninsured people increased by 7.0 million." In 2011, however, many states cut back on their Medicaid spending, as additional federal funding that had been added as part of the 2009 fiscal stimulus bill expired. Just as last year, though, the researchers said that new provisions that went into effect as a result of the 2010 Affordable Care Act had "minimal" influence on overall health spending. But it did impact some specific sectors. For example, allowing working parents to keep children up to age 26 on their employer-provided health plans "increases overall employer-sponsored insurance spending," according to the study. But because those young adults tend to be healthy and inexpensive to insure, "adding them helped temper the increase in the average per enrollee cost of employer-sponsored insurance."